The brakes on your vehicle work hard every time you drive. When you slow down in traffic, stop at a red light, or must maneuver a quick hard stop because of an obstruction in the road your brakes are at work. Over time the use of your brakes causes normal wear and tear, which can render them ineffective or useless. It’s important to have regular maintenance performed on your braking system to keep it in tip top shape, and provide safe driving conditions for you and your family. The brake system in your vehicle is comprised of a disc, also called a rotor, a caliper, and the brake pad. From inside the car, it seems like all that happens is a push on the brake pedal, and the vehicle stops. But inside the car, this depressed pedal sends brake fluid through the brake lines as a piston moves in the master cylinder. As pistons in the caliper are initiated, the brake shoe pushes against the rotor, causing friction on the brake drum. Essentially, this pressure caused by your brake pad on the drum will slow the roll of your vehicle, and eventually cause it to stop. In this way, you can see that your brakes are powered by much more than a simple pedal on the floor of your vehicle. It takes many working factors to make your car stop safely and timely on the road. Which is why it’s super important to keep every part in working order through continued preventative maintenance. Brake pad replacement is one of the minor jobs that many DIY car owners decide to try themselves. While it’s certainly one of the easier fixes to master over time, it’s important that you know exactly what you’re doing if you attempt this at home. When it comes to something as important as your brakes, we at Glenn’s Auto Repair, always recommend a certified mechanic over a DIY job. You may save yourself a few bucks, but if the pad isn’t fitted properly, or damage occurs to the caliper or other brake components during the fix, your vehicle may be rendered unsafe on the roads. If your brakes are squeaking, sticking, or seem to take much more pressure than usual to engage, it’s time to see a mechanic. Unfortunately, the friction of your brakes causes your brake pads to wear down over time, and they will need to be replaced time and time again. This is a normal part of the preventative maintenance routine you should include with your braking system. Of course, this means spending some money to keep your vehicle in working order and get you home safely every day. So how much money are you looking at spending for brake repair? The average price to replace a brake pad runs anywhere from $100 to $300 per axle, depending on the shop you work with. This might seem like a lot in the moment, but consider the alternative. To repair or replace the brake caliper, if the pad goes forgotten and further damage ensues, it could cost you anywhere from $300 to $800, even going so high as $1000 for some garages. Similarly, to replace a brake rotor is somewhere in the range of $406 to $559. When you see all these numbers together, it’s a daunting image, which is why we at Glenn’s Auto Repair always suggest preventative maintenance to our customers. This includes checking over your brakes, and making small repairs and adjustments, such as replacing your brake pads. It comes at a cost, sure, but it’s more than worth it over the long run when you consider the additional funds you will be spending over time if your brake pads go unfixed. For more information on preventative brake repair, and other services offered through Glenn’s Auto Repair, contact us today. 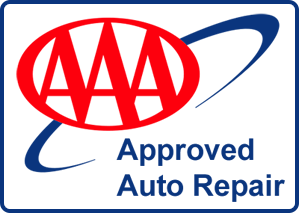 We are always happy to hear from new and returning customers, and can easily make you an appointment with one of our certified mechanics at your convenience. Don’t let your brakes get to a point where your car feels more like a money pit than a mode of transportation. Call Glenn’s Auto Repair today, and save money in the long run.